Big talk about your next home improvement project may be exciting, but don’t skip the step of securing a formal, written contract from your contractor if you want to make that dream a reality. Verbal contracts with home improvement professionals may be binding by law, but the details can be hard to enforce if there’s a disagreement of any kind after the work begins. “Almost all of the disputes that we see with contractors arise out of deals where there was no written contract–it was all oral,” says Jerry Feeney, a residential real estate lawyer based in New York City. A formal, detailed home improvement contract is the best way to ensure that a successful renovation, addition or home upgrade is finished to your specifications. Before you sign on the bottom line, run through this checklist of critical inclusions for your home improvement project contract. Scope of work: This portion of the home improvement contract will provide all details describing the work to be done, along with specifics on materials, fixtures and equipment to be used to achieve the desired final result. The scope of work guides and aligns the expectations of homeowner and contractor, so if any of the language seems hazy, have it revised to your mutual satisfaction before signing. 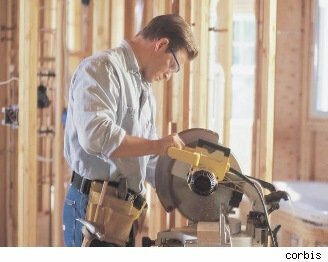 Work and payment schedules: The work schedule for a home improvement project is generated from discussions with your contractor about their team’s usual work plan and your own household routine. Start and end times, along with days of the week to be worked, should all be specified, as well as contingencies for access to the property in the event you’re out of reach or there’s an emergency. The contract should also include a clear payment schedule that includes the initial deposit required for work to commence. Truly professional contractors create and stick to such a schedule, and don’t surprise clients with unexpected bills during the course of the project. Confirmation of license and insurance: Don’t underestimate the importance of a contractor’s ability to provide proof of licensing and all required insurance. You should have done your homework to confirm this information well before coming to the contract table, and the information should be detailed for the protection of everyone involved, because serious accidents sometimes happen. Delivery of warranties for materials and products: This documentation will be critical later should there be any issues with performance or quality of materials and fixtures used in your home improvement project. If your contractor is responsible for the acquisition of all materials and products needed for the project (which is usually the case), they must provide you with all of the related warranties. Provision for cancellation of contract: Laws for contract cancellation vary from state to state, so make sure you understand those in effect where you live. Just as a verbal contract doesn’t always protect you, verbal cancellation of a contract isn’t necessarily binding. You’ll likely be required to complete, sign and submit a cancellation notice either by fax or certified mail. Project guarantees: Project guarantees are more commonly offered by home improvement retailers such as Home Depot and Lowe’s, but some independent home improvement contractors now offer them in response to consumer concerns about reliability. A guarantee means the contractor or retailer assumes responsibility for completion of work to contract specifications, and it adds an extra level of assurance for homeowners concerned about being among those whose home improvement dreams become unforgettable horror stories. Change orders: As the hammers swing and saws whirl, it’s not uncommon for changes in the project to develop. Seeing the project take shape as opposed to just viewing a blueprint might lead to a desire to add a window, move a wall or upgrade an appliance. When this happens, it is critical that you and your contractor document the difference with a “change order,” which stipulates the difference in cost (or credit) from the original home improvement contract. Not doing so can lead to very unpleasant surprises when the final bill is totaled up. In addition to your contract: The “punch list” joins the mix as the project draws to a close, and is a checklist of items to be fixed or finished before the work is regarded by both parties to be complete. The punch list is usually the result of a thorough project walk-through by the contractor and homeowner, and all items included have to be resolved and signed by both before the final project payment is made. Finally, budget time and money in the home improvement contract process for the help of a lawyer who can review the final document and ensure that parameters are clear and protective of your interests.